When it comes to remodeling your kitchen, your budget is among the first things on your mind. After all, adding new kitchen cabinets, countertops and floors can get pricey. You want to save in as many areas as you possibly can, and thankfully we know just how to help you do that. 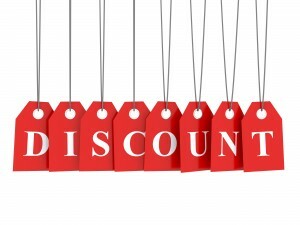 Since kitchen cabinets account for a large majority of any kitchen-remodeling budget, finding discounted cabinets is your key to big savings. Here are 6 ways you can get great looking kitchen cabinets at a discounted price. 100% real wooden cabinets are nice but they are also expensive. MDF cabinets are medium density fiberboard; think of the furniture at IKEA, which is made with this type, or a lesser grade of wood. MDF wood is more cost effective and subsequently lesser quality in structure, but can still look nice and last for many years. You don’t have to use MDF on your entire kitchen, but perhaps you could use it in certain areas that get less use in order to help reduce your overall cost. In some instances you truly do get what you pay for, but in the world of cabinetry big brand names come with a higher price tag but don’t necessarily offer any added benefits. The actual manufacturing process of a cabinet is not highly complex, therefore when done right it’s going to be about the same quality from any reputable brand, big or small. If there is a comparable option that looks and feels comparably great to a top brand name, it’s safe to go with the less expensive option and enjoy your high-end cabinets at a discounted price. Once installed, no one, not even you, are going to notice the brand name anyway. If new kitchen cabinets are still out of your budget, even after a steep discount, no need to worry. You can create a whole new look in your kitchen without purchasing one single cabinet. In the pro-recycling DIY age we live in, why not get crafty and do something good for the environment by reusing old materials. You can visit garage sales, surf the web, or go to your local junkyard in search of old cabinet doors that are still salvageable enough to be sanded, painted, fixed, and re-used. Or, you can take your own kitchen cabinets off of their hinges and add a new shade of paint. Just don’t forget to fix any chips, cracks, or other issues before applying any paint. Wood cabinets that are not properly sanded down and restored before undergoing a new coat of paint are susceptible to breaking down quickly. 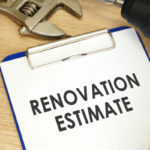 If you have a low-cost contractor or the ability to finish kitchen cabinets on your own, buying unfinished cabinets is an option that can help you to save money on your total kitchen renovations. 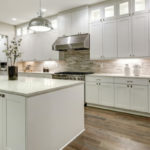 If you plan to buy your kitchen cabinets at resale price from a company that also offers installation, you are looking to pay around 15% to 20% of the total cabinet cost just for installation. To finish and install your cabinets by yourself, or with hired help from a knowledgeable contractor, you might save a lot of money. Not all cabinet stores will allow you to purchase cabinets without also purchasing the installation, make sure to ask ahead if this is something you are considering. You might find the cabinet of your dreams and be ready to settle right away, but exercising some patience could save you thousands of dollars. At certain times of the year, cabinets are known to go on sale, offering a far lower price tag. Also, some stores might have the same or similar cabinet for a fraction of the cost. The cabinet will still be there tomorrow, and next week too, so always make sure to shop around and compare prices. Buying wholesale kitchen cabinets offers you a wide range of selection, but always at a discounted cost. When you purchase something wholesale you are just knocking out the middleman. For instance, when Home Depot orders kitchen cabinets they purchase them at wholesale price from a different business that specializes in cabinets. Then, the store marks these cabinets up to resale price. 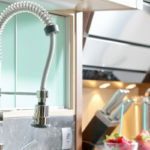 You can buy your kitchen cabinets wholesale, without the help of a big-box store, and pay a lot less money, saving you as much as $10,000 or more. Want to save a bundle on your kitchen remodel? 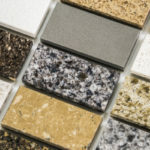 At Tops Kitchen Cabinet we offer a wide selection of countertops, cabinets, and more, all at wholesale prices!